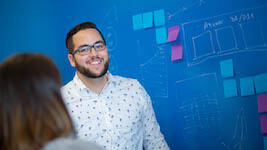 Boston, MA — March 3, 2015 — Dynatrace, the leader in digital performance, today announced that The McClatchy Company (NYSE: MNI), one of the nation’s premier media organizations, has selected Dynatrace User Experience Management (UEM) to optimize the performance of its digital news services and ensure a great end user experience across its portfolio of digital products. With Dynatrace UEM, McClatchy will have the ability to understand the behavior of its digital users, and proactively identify opportunities to improve users’ mobile and web experiences. Advertisers will also benefit from McClatchy’s improved efficiency when delivering ads to digital readers. The McClatchy Company is a leading news and information provider and publisher of iconic brands such as the Miami Herald, The Kansas City Star, The Sacramento Bee, The Charlotte Observer, The (Raleigh) News and Observer and the (Fort Worth) Star-Telegram. With headquarters in Sacramento, California, McClatchy operates media companies in 28 U.S. markets in 14 states, providing each of its communities with high-quality news and advertising services in a wide array of digital and print formats. McClatchy turned to Dynatrace to help better understand and optimize every users’ experience at every digital touch point – mobile web, desktop web and native apps. Dynatrace UEM will also provide McClatchy with valuable insight into how third-party services impact performance. This visibility will allow the company to keep a close watch on specific vendors having problems, work with them to improve overall user experience and proactively address issues as they arise. In the future, McClatchy plans to use Dynatrace to gain further insight into user experiences on its responsive websites, and incorporate UEM into its native mobile applications. The company will also use the technical and business insights available in Dynatrace UEM to help inform development decisions across mobile and web platforms. For more information on Dynatrace UEM, visit here.